In Dungeons players need to defeat the mobs on each floor in order to progress forward, to enter Dungeons players need a key and will receive great rewards for finishing it. 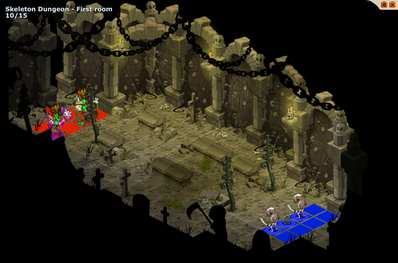 Dungeons come in different difficulties, the higher the difficulty the higher level players need to be to enter it. If players die in a Dungeon they can respawn at the entrance and retry it without needing any additional keys. Players can find groups via the matchmaking system that finds other players wanting to join the same Dungeon as you. The difficulty of the Dungeon also varies based on how many players are in the group attempting to beat it, the more players in the group the stronger the mobs will be.